Mummies can educate when found by archaeologists, or be macabre attractions in sideshows and tourist traps. 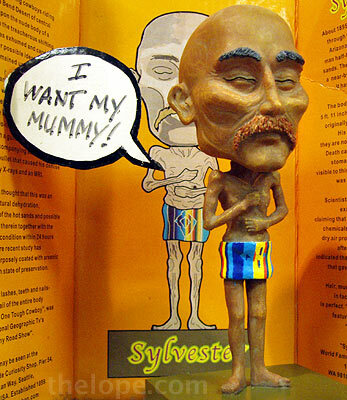 Thanks to being owned by a store that allows scientific study, Sylvester the mummy does both. See him in Ye Olde Curiosity Shop.